A Datagrid is a widely utilized graphical interface element that allows viewing and managing data in tabular form. Typical features of a grid view include ability to sort data, change column and raw width, and edit data in-place. 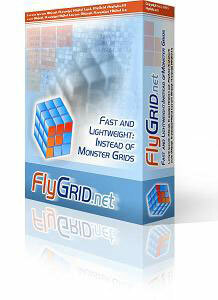 Basic grid control capabilities are provided by Microsoft Windows.Forms, which are shipped with Microsoft .NET suite. However, the feature set provided by Windows.Forms does not fairly comply with contemporary requirements for data presentation. The today’s software marketplace offers a variety of third-party controls with wider capabilities. This white paper is intended for .NET developers and team leaders looking for the right solution to streamline front-end development in .NET. Read this Whitepaper to understand the main advantages of the fast and multipurpose Grid and Tree data presentation component FlyGrid.Net.